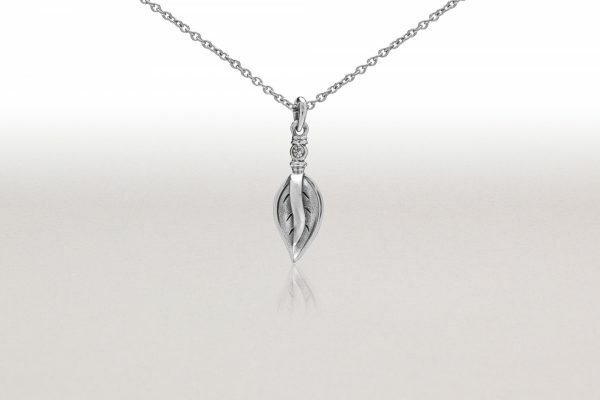 This leaf pendant is made of Platinum-enhanced Sterling and set with white sapphire. 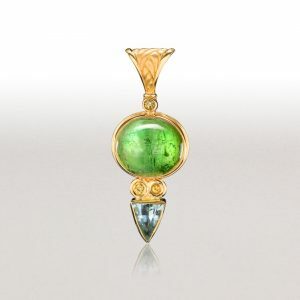 Wear it alone or try stacking other pendants with it. 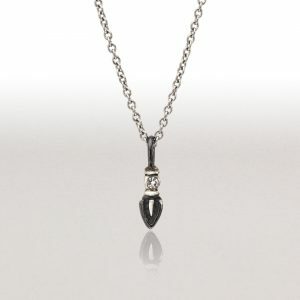 The price includes a stainless steel chain. Leaf pendant is made of Platinum-enhanced Sterling. 5% platinum makes the metal lustrous and durable. Faceted white sapphire is flush-set.